This Honor Code was created as a response to those individuals and leaders seeking to live with character, courage, and commitment in daily life. 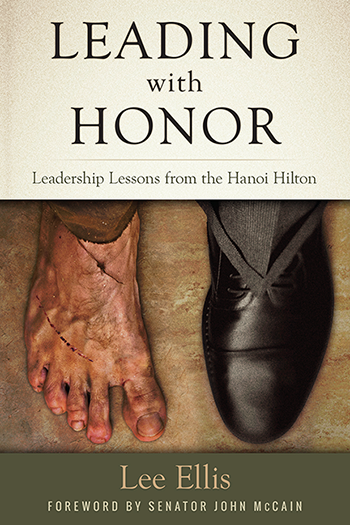 Not only are they foundational principles for living with honor, but they also represent the set of values that Lee Ellis and Leading with Honor seek to fulfill as we interact with others. 1. Tell the truth even when it’s difficult. Avoid duplicity and deceitful behavior. 2. Treat others with dignity and respect. Take the lead, and communicate value to others. 3. Keep your word and your commitments. Ask for relief sooner than later if necessary. 4. Be ethical. Operate within the laws of the land, the guidelines of your profession, and the policies of your employer. 5. Act responsibly; do your duty, and be accountable. Own your mistakes, and work to do better in the future. 6. Be courageous. Lean into the pain of your fears to do what you know is right even when it feels unnatural or uncomfortable. 7. Live your values. Be faithful to your spiritual core, your conscience, and your deepest intuitions. 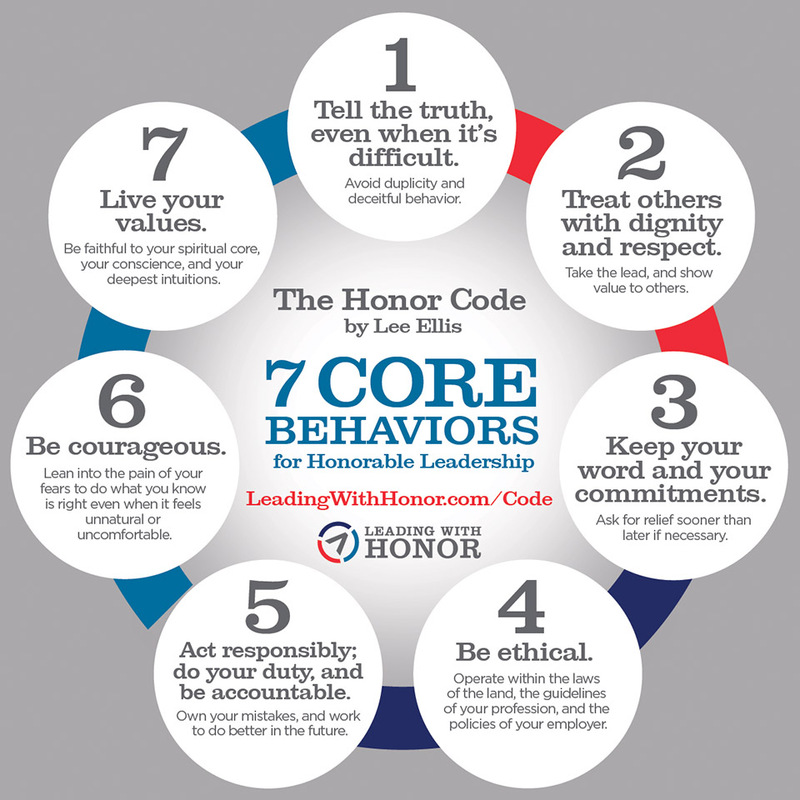 Download and Share this mini-graphic of Honor Code with others in your favorite social network.